The new Dodge Challenger SRT Demon is already an absolute beast of a car, straight from the factory. However, renowned tuner Hennessey has developed an upgrade for it that turns it all up to 11 and breaks the knob off. Called the HPE1200, the upgrade includes tuning for the factory 6.2-litre supercharged V8 that already produces 840hp (627kW), resulting in a colossal 1200hp (895kW). For the weak and feeble, Hennessey also does a HPE1000 kit with 1000hp. A video has been released to show how the HPE1200 kit performs on the dyno. 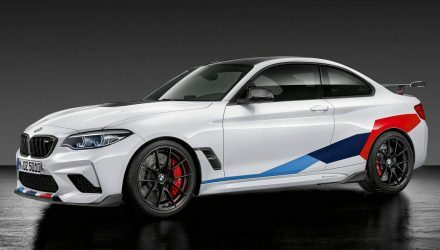 Detailed specifics on what the tune-up program involves haven’t been outlined, but the company says on its website that new headers, engine tuning, and an upgraded supercharger are involved. It offers kits that take power right up to 1500hp if you desire. On the dyno the beast lays down an impressive 1013hp at the wheels. That’s 756kW. 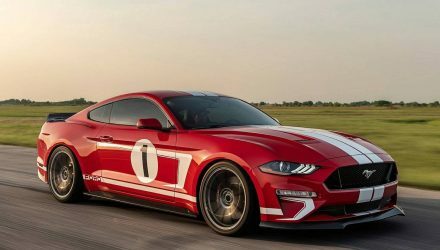 Considering the factory car produces 627kW at the engine (probably around 580kW at the wheels), and it dips well into the 9-second region (9.65s) across the quarter mile, this HPE1200 package might even dip into the 8s. 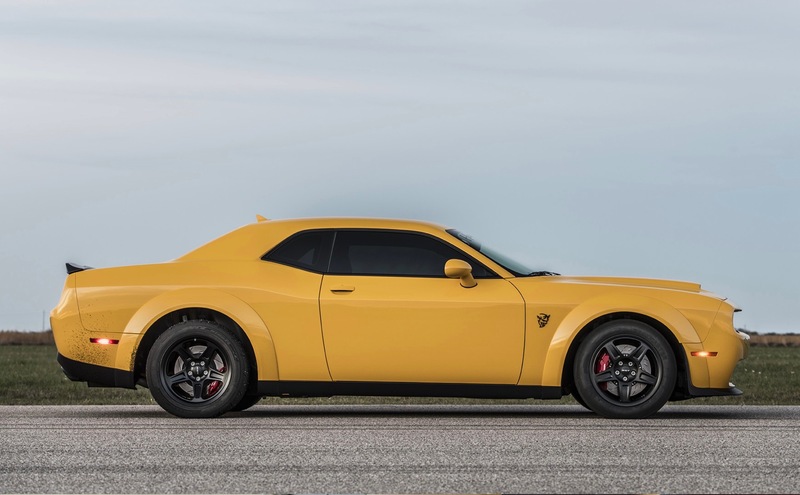 Hennessey has run a 9.14-second pass with the HPE1000 kit. 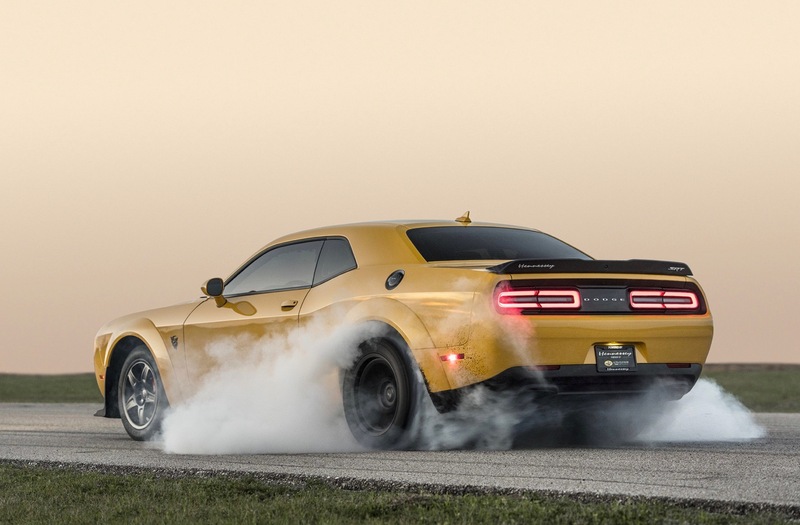 The SRT Demon in factory form broke a few records when it debuted last year. 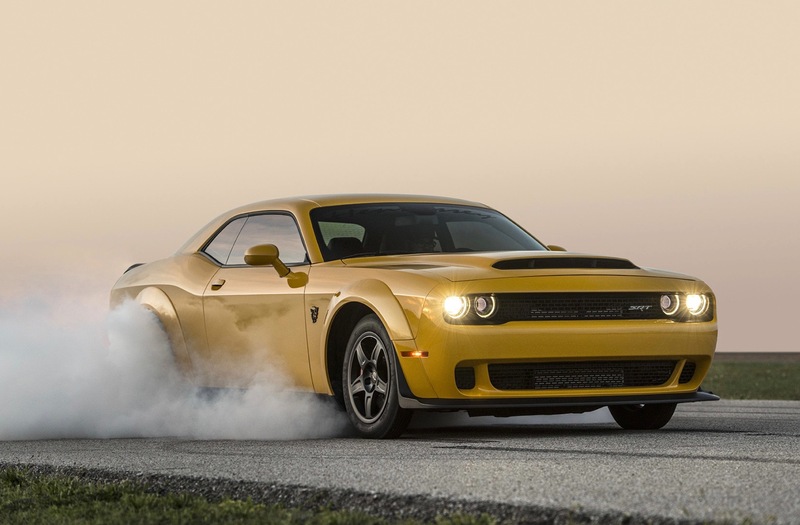 It’s the most powerful production muscle car ever. 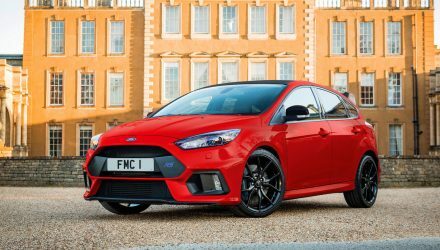 It’s also the quickest production car across the quarter mile and the first production car to be able to lift the front wheels off the ground under acceleration. 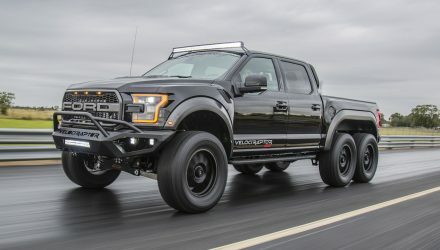 It comes with loads of drag-ready features, including a TransBrake, 315 Nitto tyres, line-locker for warming the tyres on the spot, and a new technology called anti-hop launch control that limits torque for optimum off-the-line traction. So, how does this all sound when spiked with Hennessey’s venom? Check out the dyno video below.